Richard Mallia, 58, beloved son, father, brother, and uncle of New Jersey, passed away unexpectedly on March 24, 2019. He was born in Plainville, CT on April 11, 1960. Ricky was the son of the late Michael Mallia and Sebastiana (Cultrera) Mallia. Rick graduated from Plainville High School and earned his BA degree from Worcester Polytechnic University and MBA degree from Rutgers University. Besides his parents he was predeceased by two brothers, Paul Mallia and Michael Mallia Jr. and many aunts and uncles. 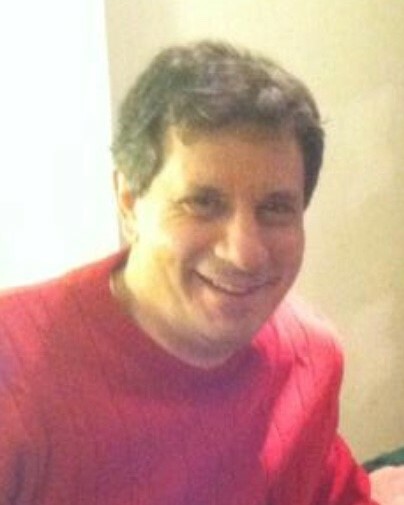 Rick was survived by two children, a son Kyle and daughter Kristen; a sister Dianne Mann; 4 nieces Kimberly Mallia ,Jill Mallia, Angela Mallia and Crissi Mann; 2 nephews Jim Mallia and Jeff Mann; 2 aunts Maria Bufalino and Beatrice Zappulla; grand nieces, nephews, and many cousins; and loving girlfriend Jean Seiz. Rick loved people. When he loved and felt love he was devoted, supportive, and lighthearted and had an infectious sense of humor. Rick enjoyed spending time with his son and daughter. Being involved in their activities as they grew up. He loved ice skating, watching movies, traveling and enjoying special moments with his friends and family. Rick was an intelligent, talented, and determined IT manager. He loved to work to turn a company around. He most enjoyed being employed by an assisted living facility as an IT director because he enjoyed interacting with the residents. An example of the caring, giving person he was. Rick will be dearly missed. He was a gentle and kind person loved by everyone who knew him. Family and friends may gather at the Bailey Funeral Home 48 Broad Street in Plainville on Saturday, April 20, 2019 from 10:00 a.m. until 11:00 a.m. Burial will follow in Saint Joseph Cemetery in Plainville. For additional information or to leave words of sympathy please visit Rick’s tribute page at www.bailey-funeralhome.com.